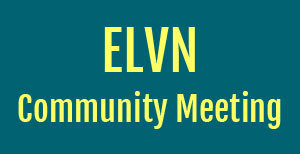 Please attend the next ELVN Board Meeting Tuesday, Jan. 5, 2016 at 7:00 p.m. at the 19th District Police Station, 850 W. Addison St. This entry was posted in ELVN News and tagged ELVN, zoning on December 31, 2015 by elvn_updates. This entry was posted in Community News on December 7, 2015 by elvn_updates. Medical Marijuana Dispensary meeting December 7 @ 7 p.m.
By now, many of you have heard that a company, Medmar, is pursuing a Special Use Permit to open and operate a medical marijuana dispensary at 3812 N. Clark Street, in our neighborhood. Their proposal is scheduled to be considered by the City Council’s Zoning Board of Appeals on December 18, 2015. A community meeting was convened by Alderman Tunney at the Cubby Bear on November 17, 2015. The proposed property is located on the eastern boundary of Southport Neighbors Association borders, and it sits across the street from East Lakeview Neighbors western border. For this reason, I think that it is important for ELVN members and residents to have another opportunity to hear from Medmar and to consider the proposal. Jill Peters, President of Southport Neighbors, has organized a special meeting regarding this matter, and she has, graciously, agreed to welcome our members and residents to participate in this meeting. I encourage you to attend the meeting and tell your neighbors. The Southport Neighbors meeting is scheduled to take place at 7:00 p.m. on December 7, 2015 at the Mercury Theatre at 3745 N. Southport Avenue. This entry was posted in Community News and tagged medical marijuana, zoning on December 4, 2015 by elvn_updates.